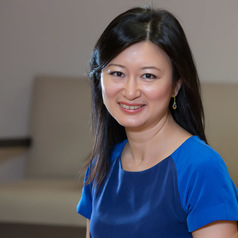 Christine Lin is Principal Research Fellow and Associate Professor at Musculoskeletal Health Sydney, Sydney School of Public Health, The University of Sydney. She holds a Career Development Fellowship from the National Health and Medical Research Council. Christine has >$3.7million in research funding and >100 publications, including senior author publications in the prestigious journals NEJM, Lancet and JAMA. She has a professional background in physiotherapy and obtained a PhD from The University of Sydney in 2008. Christine's research investigates treatments for musculoskeletal conditions. Her main research focus is to investigate the effectiveness and cost-effectiveness of treatments for common musculoskeletal conditions such as back pain.